This is a repost from my Facebook page I Don’t Care If Anyone Reads This. This was from three seperate posts. A lot of people believe Satan is bound after the 1,000 year reign of Christ. I believe Scriptures don’t teach that Doctrine. I’m not going to get into chilaism and this 1,000 year reign of Christ but I do want to talk about the binding of Satan. Those who take this chain that Satan is bound with as being literal have to do a lot of jumping through hoops (or chain links). This can also be said with a 1,000 year yet future reign of Christ. I personally see the parallel with 2 Thessalonians and Rev 20. With that said, I heard an interesting theory that Satan is bound by truth. Truth is mentioned throughout 2 Thessalonians 2 and contextually it does make some sense. Before we go on to the scripture. I want to point out that there are different theories as to who or what the restrainer is. Pre tribbers will tell you that the restrainer is the Holy Spirit and that He is gone AFTER the restraint is lifted. They use this to prove their pre “seven year” trib theory. I don’t buy that theory as far as them trying to provetheir point. Some other theories on who the restrainer is are Michael the Archangel, God, Jesus who holds the keys and some other theories that I don’t want to get into. I want to look at a theory that I heard recently about the restrainer being truth. We see that because those who rejected the love of the truth, they are not saved. It is because of this that they are given a strong delusion that they should believe a lie. We know this truth is Jesus and it is His salvation for us. And the lie comes from Satan, the father of lies. The lie is that Jesus is not God and that He was fully a man with no deity find in Him. This is what I believe to be the great lie. And every reign known to man rejects this idea that Jesus was GOD. Now Apostasy means literally, a defection from the truth and is the feminine of apostasion, bill of divorce. Do you remember Israel became a harlot and God gave her a bill of divorce. Jesus according to the Law had to die so that He could then marry the ecclesia. Is this falling away and strong delusion associated with Judaism and defecting from the truth. There are those in the Hebrew Roots movement and Torah Keepers movement who want to tell us Jesus is not God in the flesh and prior to His death on the cross He was 100% man. This is untrue and one should be labeled a heretic once they are put on notice and don’t repent. I connect this Rev 20 event of Satan being released to the 2 Thessalonians event of the restrainer being taken out of the c way so Satan can indwell in this future man of sin. The reason as to why Satan is being restrained and he is bound with chains is so the Gospel can be preached to the ends of the Earth. We know for a fact Satan is still capable of affecting and deceiving personal lives. But with that said, he cannot hinder the Gospel being preached. I would suggest the more you see truth being taken away in this world, like we see today, that will be a clue that we are getting closer to the restrainer being taken out of the way. We are starting to see today where evil is called good and good is called evil. We may be leading up to the restrainer being taken out of the way. In John 16:13 we see Spirit of Truth as another name for the Holy Spirit. “Howbeit when he, the Spirit of truth, is come, he will guide you into all truth: for he shall not speak of himself; but whatsoever he shall hear, that shall he speak: and he will shew you things to come.” Essentially this Spirit of Truth is Jesus and the Father. Are we seeing the restrainer being represented as the Triune God? So we see the antithesis of this Spirit of Truth, it is the spirit of error. Remember, the Truth – the real Truth shall set you free. This is Jesus. Now let me throw this in the mix about this string delusion. I had never looked at the Greek for the phrase “strong delusion” of 2 Thessalonians 2:11 and I saw this. I thought that this was pretty interesting. I always took it at face value and I guess I shouldn’t have. The word for ‘strong’ is ἐνέργειαν (energeian). This word is used seven times in the NT and always refers to superhuman power whether it be GOD (5x) or Satan (2x). Its used in 2 Thessalonians 2:9 for the working of Satan’s power. We get the english word energy from this obviously. Now what is interesting is that occultists and new agers believe, for example, Saturn puts off an energy or can I say a vibration. By using Saturnian symbolism it projects a Saturn vibration through it…sending its energy to those who are susceptible to it. The Arch of Triumph I believe is also doing this through its symbolism. 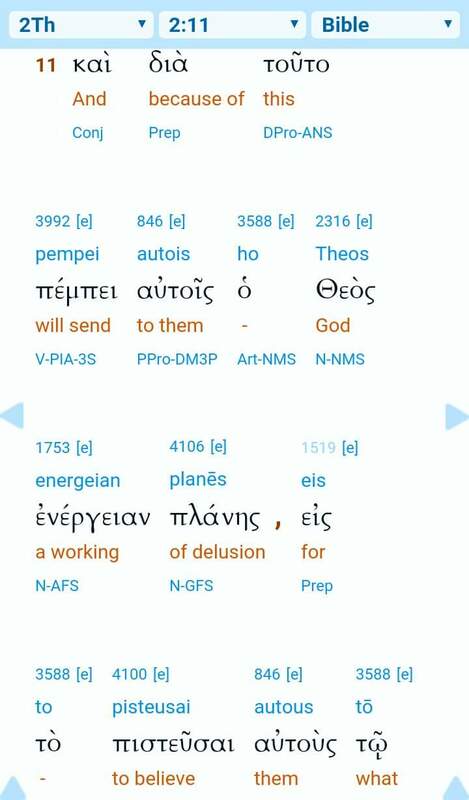 Now the word for delusion in the Greek is πλάνης (planēs) and its used 6x in the NT and referenced in 1 John 4:6 as the spirit of error. 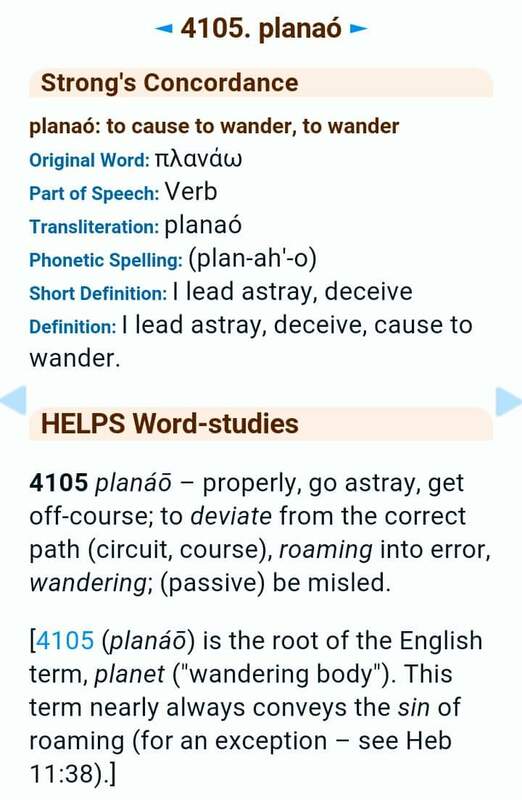 This is the feminine noun form of the word planaó (lead astray, decieve) and “is the root of the English term, planet (“wandering body”). This term nearly always conveys the sin of roaming”. So did you catch all that? The strong delusion can reference a energy caused by a superhuman entities (if I can say it that way). 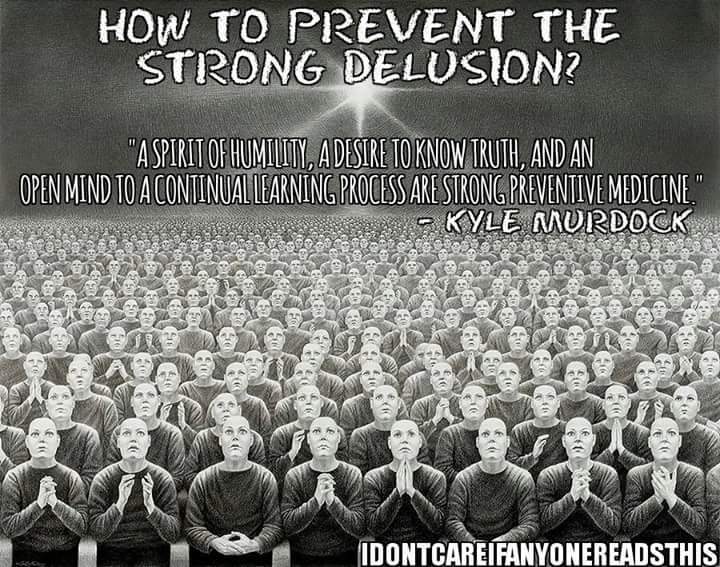 And delusion (according to this definition) is something that causes you to error and wander from the Truth. 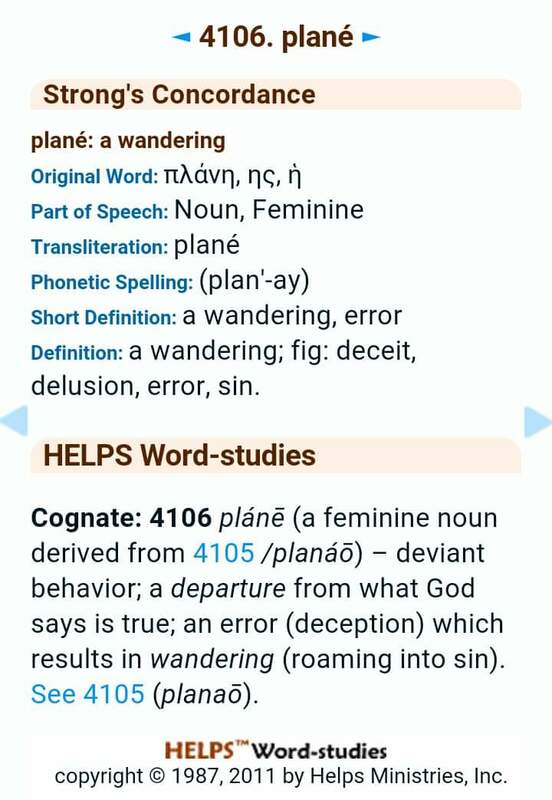 And “is the root of the English term, planet (“wandering body”). I personally think this “strong delusion” is a culmination of denying and wandering from the Truth i.e. The Gospel of Jesus. But in context of your post, it does look like this “strong delusion” can refer too this “spherical earth that roams” that maybe just puts out the same energy and vibration to those who believe the lie, just like Saturn does. Maybe this particular strong delusion was a set up to make us believe any lie if we can believe this one first. This sets us up for the spirit of error.